ASH is the most important hematology conference and this year there is sure to be clinically relevant news for those of us with CLL. 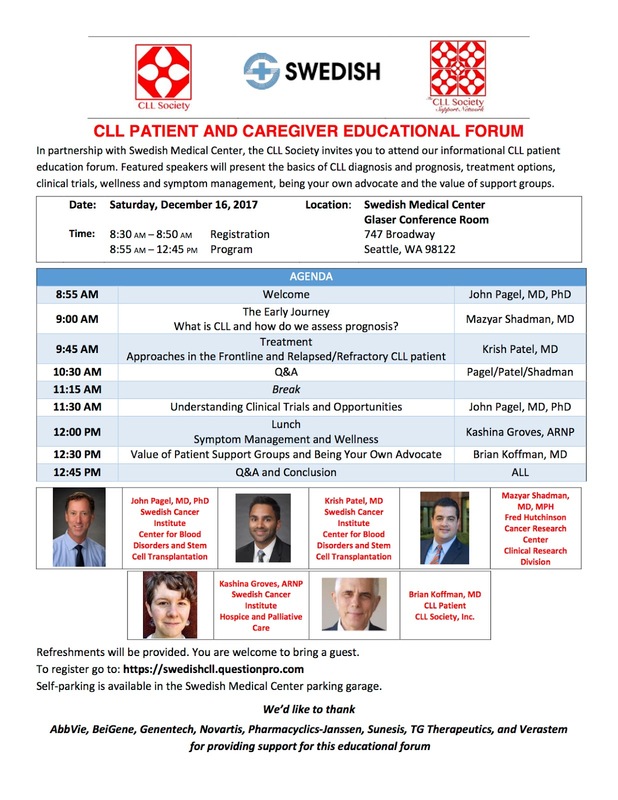 To learn the latest (and the basics too), please join me in Seattle right after ASH with Dr. Pagel and strong team from Swedish Ho. and the Hutch on Dec. 16. The same day, Dr. Wiestner and his team at the NIH in Bethesda will be presenting a similar CLL Society program. 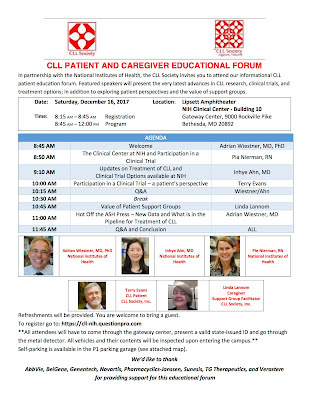 To learn about them both and all our other free educational forums register, visit https://cllsociety.org/upcoming-cll-patient-education-programs/ and find the meeting that works best for you. 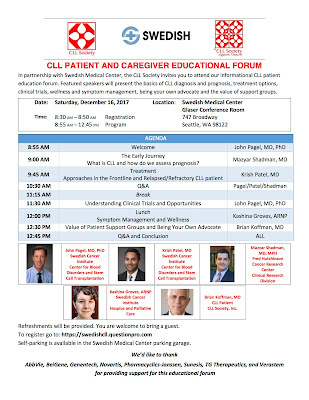 I wil be at the Cleveland on Nov. 11 and Seattle Dec 16 forums among others, so please come by and say hello. 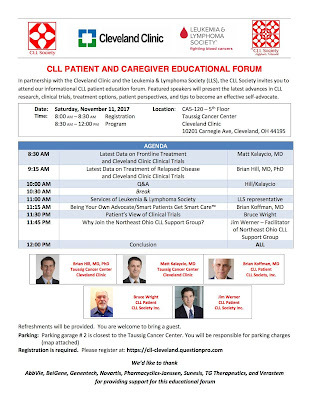 The CLL Society, LLS and the Cleveland Clinic are hosting a Patient and Caregiver Forum on Nov. 11. 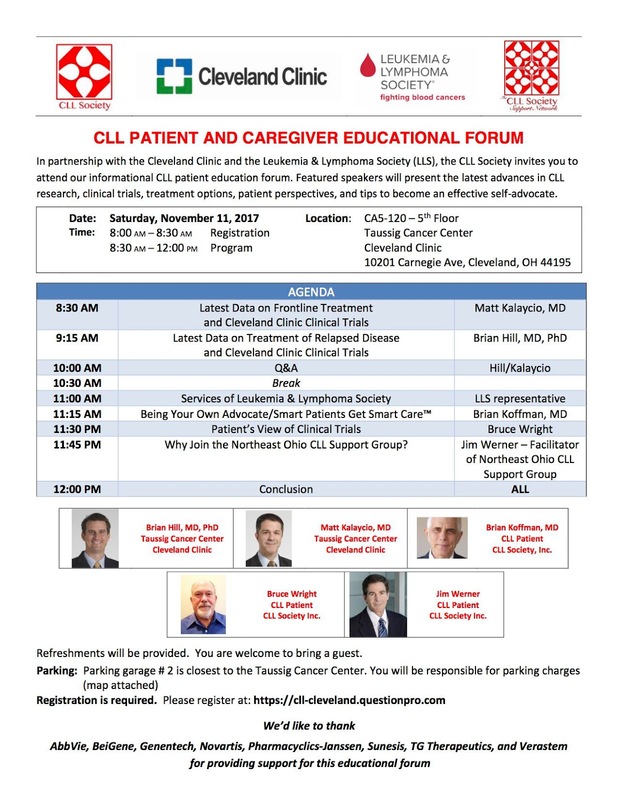 It is going to be a super educational experience with CLL expert Dr. Hill and others from the Cleveland Clinic there to answer all your questions. Bruce Wright is an amazing patient speaker and I'll be sharing what I have learned about self advocacy.